This post was written by my BFF Helen over on her blog – here. She let me repost it because, well, she’s bloody amusing. Everybody has their favourite shop, Oasis, Warehouse, Topshop, well mine is New Look. Yes IÃ¢â‚¬â„¢ll browse round the others, spend vouchers in Oasis and get work tops on offer in Dorothy Perkins but my heart always takes me back to New Look. Even “Little J” is loving New Look! I know that people who frequent Topshop will scoff in their oh so original trendy boots but I donÃ¢â‚¬â„¢t care. To be honest I only nip into Topshop when there is a sale on and even then I wait till itÃ¢â‚¬â„¢s reached the buy one get one free point! I just donÃ¢â‚¬â„¢t see the attraction. Yes some of the clothes are nice and I used to shop there all the time (well they were the only shop that sold long length jeans and trousers so I didnÃ¢â‚¬â„¢t really have much choice!) but for me the love affair is over. People who shop there seem to think they are the best thing since sliced bread, they think theyÃ¢â‚¬â„¢re so fashionable but in a trendy, original way. Problem is, theyÃ¢â‚¬â„¢re not, they all look the same! You can spot a Topshopper straightaway, theyÃ¢â‚¬â„¢re generally found in a group of girls who all look the same! The only good thing about Topshop nowadays is what itÃ¢â‚¬â„¢s name suggests, selling tops, the basic tops in a few different styles in about 10 different colours. For me itÃ¢â‚¬â„¢s all about New Look. Firstly, it sells everything, clothes Ã¢â‚¬â€œ yes, shoes Ã¢â‚¬â€œ yes, bags Ã¢â‚¬â€œ yes, coats Ã¢â‚¬â€œ yes, accessories Ã¢â‚¬â€œ yes, underwear Ã¢â‚¬â€œ yes, swimwear Ã¢â‚¬â€œ yes, watches Ã¢â‚¬â€œ yes, yes even watches!!!! And itÃ¢â‚¬â„¢s all at a reasonable price. 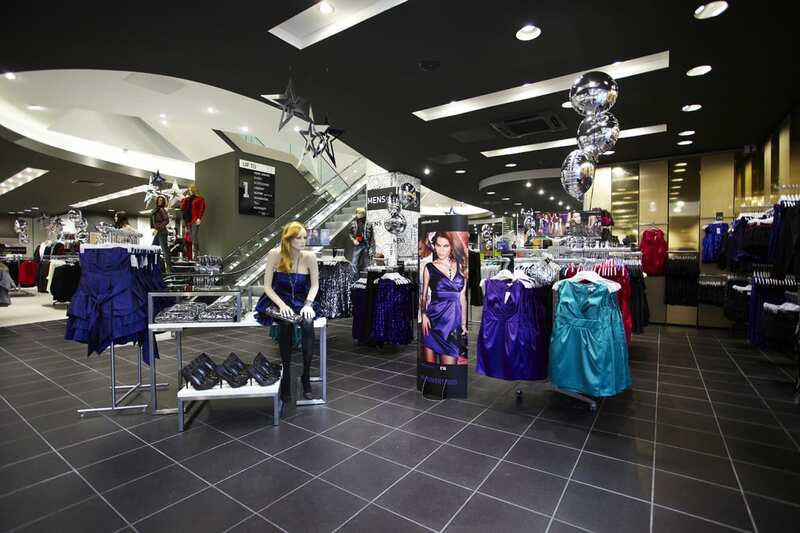 You can get a wide range of styles and sizes, tall, petite, maternity, plus size, kids, men Ã¢â‚¬â€œ what more could you want?! 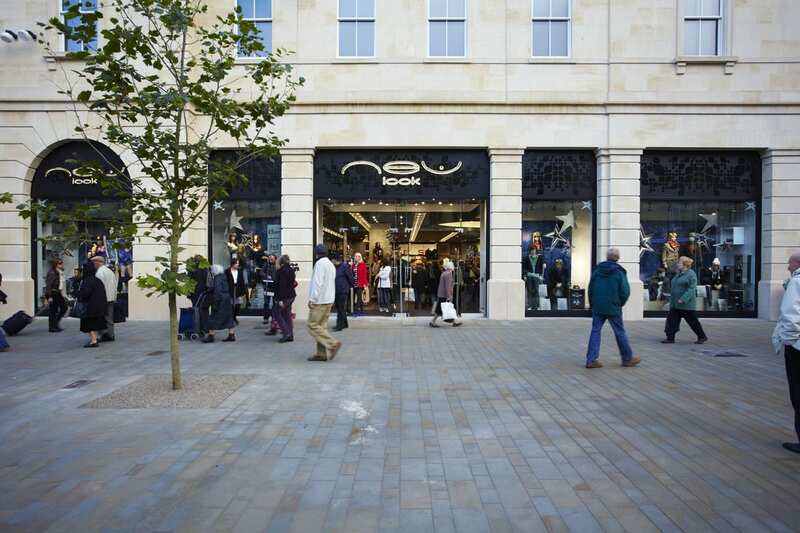 The new Bath store, the 200th New Look store ever or something? If youÃ¢â‚¬â„¢re headed for a night out and you have donÃ¢â‚¬â„¢t have an outfit (or at least one you want to wear!) you can pop into New Look on your lunch break and if youÃ¢â‚¬â„¢re a savvy shopper you pick up a whole new outfit for less than Ã‚Â£50, including shoes!!! If you are lucky and thereÃ¢â‚¬â„¢s a decent sale on you can get an outfit for less than Ã‚Â£30! Ã¢â‚¬Å“But what about Primark?Ã¢â‚¬Â I hear you cry. Pfft. Yes, I pfft at Primark. DonÃ¢â‚¬â„¢t get me wrong, IÃ¢â‚¬â„¢m not a snob, I love a bit of Primarni, you can get an entire outfit, including shoes and accessories. Having said that, if you want your clothes to last for more than a few weeks with regular wear you will be slightly disappointed. I find that after a few washes Primark clothes tend to lose a bit of shape and shoes become tatty looking with the sole coming away. If weÃ¢â‚¬â„¢re talking underwear, pjs, bags and jewellery I am there, in fact I canÃ¢â‚¬â„¢t wait for the Primark Superstore Ã¢â‚¬Ëœopening soonÃ¢â‚¬â„¢ in Chester! Lunchtime bargain hunt here I come! I’m totally with you there! Occasionally there’ll be an item I absolutely *love* in Topshop, but most of the time New Look is where I go if I want something “on trend”. I have five summer dresses in the same style but different fabrics from New Look, and they’re my summer staple, the rest of my wardrobe barely gets a look-in! .-= Vixel´s last blog ..Attention Foodies Ã¢â‚¬â€œ Awesome Competition! =-. Hurray for New Look!! I think I’ve mentioned my tragic breakup with Topshop before on a post you did a while ago but New Look keeps my heart a-flutter. And luckily for me there’s one just round the corner from work so I can have a quick sneaky peak whenever I want. I’m usually found in there on a Friday desperately searching for something to wear for the weekend. For me New Look win on the shoe front. Always brilliant and they never really break the bank. .-= The Girl´s last blog ..Meet my new friend… =-. Yey New Look! There is one between Holborn station and law school which is open really early…. dangerous!! It is cheap and good. I avoided it for a few years but it is now back for good. I agree about Topshop, I do buy jeans in the tall section and it’s good as long as you don’t get your whole outfit from there (as you say, a lot of people do).